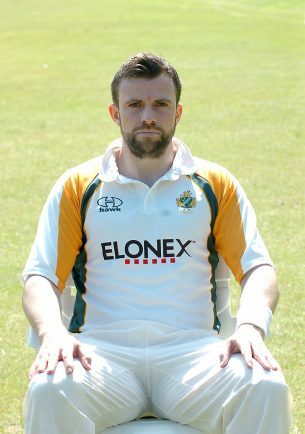 SKIPPER Andrew Sutton believes Barnt Green are heading in the right direction after pushing reigning Birmingham League Premier Division champions Knowle & Dorridge close last Saturday. K&D were put into bat at Cherry Hill Road with New Zealand international George Worker carrying on from where he left off last season by crashing 101 off 120 balls to guide the visitors to 289-7 from 50 overs. Skipper Sam Reddish also chipped in with 79 while Darrel Williams (3-50) got the pick of the wickets for Green who were bowled out 212 in the 49th over. Willam Baker top scored with 58 while Ed Pollock fell one short of his half century as Green fell to a 77-run defeat. “K&D are champions for a reason as they are a well-drilled side which have an excellent overseas player who in my opinion has improved as a player in comparison to last season,” said Sutton. “We knew we had to be at our best to beat them and even though we were not a million miles away from that, it wasn’t enough. “That said I was really impressed with the seamers Zain Ul Hassan and Adam Hines and spinner Darrel Williams who did really well against a strong batting line up. “They bowled good lines and length and that bodes well moving forward. Up next for Green is a trip to Shrewsbury who they skittled out for just 54 at London Road last season as part of a league double over the former champions. But Sutton knows that means nothing if his side don’t prepare properly for Saturday’s clash. “Shrewsbury are a very good side and have got off to a good start,” he said. “They are always up there and if they don’t win the league then they are part of the top three.